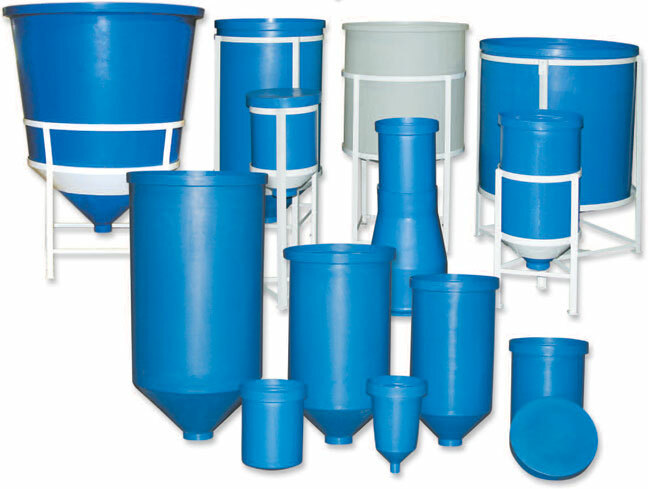 These tanks have the same features as the flat-bottom tanks with an added bonus – the bottom is cone-shaped for total drainage. These tanks must be supported with some type of stand. See table for tank dimensions, Part #300 – 316. We warranty each product to be free from defects in material and workmanship for a period of one year from date of purchase. We make no other express warranties, and all implied warranties including fitness, are limited to one year from date of purchase. Within warranty period, we will repair or replace any part found to be defective upon our examination, but we will not pay shipping cost or other epenses. To obtain warranty, write us at Polytank, Inc., 62824 250th Street, Litchfield, MN 55355 or call 800-328-7659. Merchandise may be returned, but must have shipping prepaid and will be return shipped collect.